Phuctal Gompa in Zanskar, Ladakh. Photo courtesy of Steve Berry. It goes without saying that since the explosion of online travel agents, companies and budget airlines over the past decade, there has never been such a plethora of choice when it comes to booking a holiday. Whether it’s a city break, a two-week beach holiday in the Canary Islands, a Mediterranean cruise, a skiing holiday in the Alps or a tailor-made honeymoon, there are literally thousands of packages and options to choose from. Many people are now choosing to do all the hard work themselves by booking flights and accommodation separately to get the best deals. And with high competition driving down prices, travellers today have never been in a better position to get what they want for the right price. However, it is no secret that the modern-day tourist has become more discerning over the years. We are demanding more than ever from our precious holiday time, and many travellers are looking for more than the standard sun, sea and sand break in long-established, British-orientated resorts. More than ever, people are looking for ideas for that unique experience, a once in a lifetime perfect luxury trip that will allow them to discover some hidden corner of the world, and perhaps even to discover more about themselves. This may be one of the reasons ‘if not the key reason‘ for the growing numbers of tailor made trips and walking holidays available. This type of holiday allows the customer to have complete control over their trip. They can choose to go on an existing itinerary with an organized group, or they can plan a private trip for themselves and their friends and family, accompanied by an expert guide. They can choose exactly what they want to see and where they want to go. Bespoke holidays give the customer a vehicle to create a great-value itinerary to fit their budget and build the experience of a lifetime. In short, a tailor made holiday gives travellers the freedom to choose every little detail of their trip. Walking holidays have become particularly popular. Most walking holiday companies will provide a variety of walking programmes to suit all abilities, from those with no previous experience needed to more strenuous treks. You can walk at your own pace and make the most of the places you want to explore. There are now many walking holiday companies offering an inspiring range of walks and treks across the globe. A great benefit of tailor made holiday specialists is that they will be able to share their expert local knowledge and offer their personal advice on the best places to go, how to get there, where to stay and how to get around. They will be able to offer a knowledgeable and personnel service, with many staff having first-hand knowledge of the area you are interested in visiting. Many offer a bespoke service, meticulously planning every aspect of the trip and making sure it is exactly right for the customer. Many companies will have staff with personal first-hand knowledge of the destinations and a network of local contacts and suppliers, providing the customer with an independent travel experience without the hassle of organising it themselves. Another advantage of this type of trip is that customers will be travelling with like-minded people, sharing their experiences and exploring the environment in-depth. And tailor made holidays can be surprisingly reasonable in cost. As well as enjoying the cost-saving advantages that group travel brings, as the cost of transport, guides and accommodation can be spread between a number of people, thus reducing the price, considerable savings can be made over the price of comparable brochure trips. Many tailor made holiday companies will be committed to supporting responsible tourism, as they invest so much in the local areas they visit and the people who live there. By going on a bespoke holiday, tourists are helping to support the local economy and people, as many companies will employ local people as guides and use local accommodation and restaurants wherever possible. These ‘Responsible Travel’ tailor made holidays are a great way to give something back to the local communities that are visited, and every effort is made to minimise pollution and take care not to offend local traditions. They also have a deeper understanding of the importance of sustainable tourism. Emphasis is put on sustaining the fragile and beautiful places they visit so that future generations can enjoy the same journeys and tours in many years to come. Mountain Kingdoms is a UK trekking holiday specialist and has been creating memorable holidays for 26 years. It offers a wide range of walking tours and treks to some of the world’s most renowned destinations, including several Everest Treks in Nepal, the Inca Trail in Peru, the Annapurna Circuit, the increasingly popular Kilimanjaro Trek, not to mention breaks in America, Argentina, Cambodia, Chile, China, India, Bhutan, the Polar regions and many more worldwide destinations. We also provide numerous walking tours, wildlife holidays and cultural journeys that take the traveller away from well-travelled routes to experience an authentic and bespoke adventure holiday, including colourful cultural festivals. Mountain Kingdoms has been awarded the prestigious Association of Independent Tour Operators' (AITO) Responsible Tourism Award. So where will you next holiday be? A trek through the Grand Canyon perhaps? A trip to see the magical Northern Lights in the Arctic? 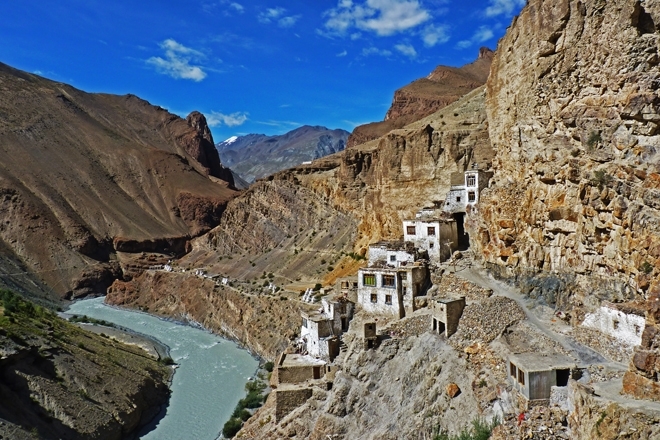 A cultural tour of Ladakh? The possibilities really are endless. Maybe give that beach holiday a miss this year and do something amazing instead. Authentic adventures and enriching journeys are right around the corner. Please call or contact us for availability or for a brochure / more information on our worldwide holidays or check the website for details of all the countries we cover with our exciting holidays.